A time might arrive when a home owner decides to refinance their mortgage. There are varied reasons why the home owner might decide this is a reasonable course of action. Generally, this option is selected due to lower interest rates. Savvy people do not rely on their own judgement, but value resources that help them apply that option. Consequently, a Refinance Mortgage Loan Calculator is a perfect choice to determine the loan. 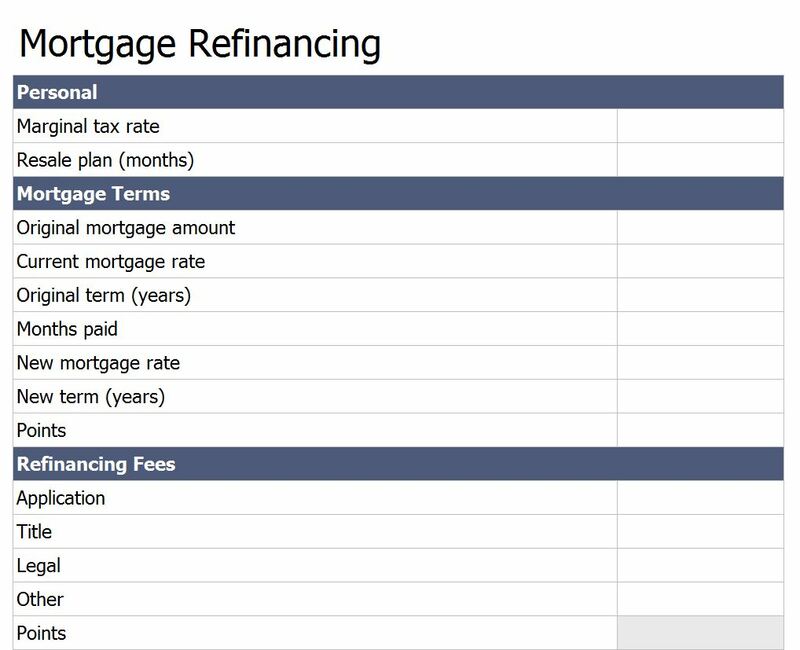 The Refinance Mortgage Loan Calculator is available for free on this page and is fully customizable with your information. The first step is to customize the Refinance Mortgage Loan Calculator with important information. Add all the necessary information concerning your current mortgage interest rates. Add in the new mortgage interest rates. This is so the loan calculator has the required information. Consequently, the Refinance Mortgage Loan Calculator will return precise information that represents the home owner. Fortunately, it easy to use a Microsoft Word Template to generate the information that is required. The results are very accurate and look professional. Make sure that all the fields on the form are set up correctly to get accurate results. Make sure that important contact information is added. This is to provide a record for personal and business use in the future. Make sure that you backup all the information. Save this on file or print out for future use. Use the data to spot trends or changes in financing or interest rates. Sooner or later, just about every home owner might consider refinancing their mortgage. Use the Refinance Mortgage Loan Calculator found on this page. The template is easy to download right here. The template will easily help you calculate payments with a new mortgage interest rate and compare results with a current mortgage.